Brunch is my favorite meal! 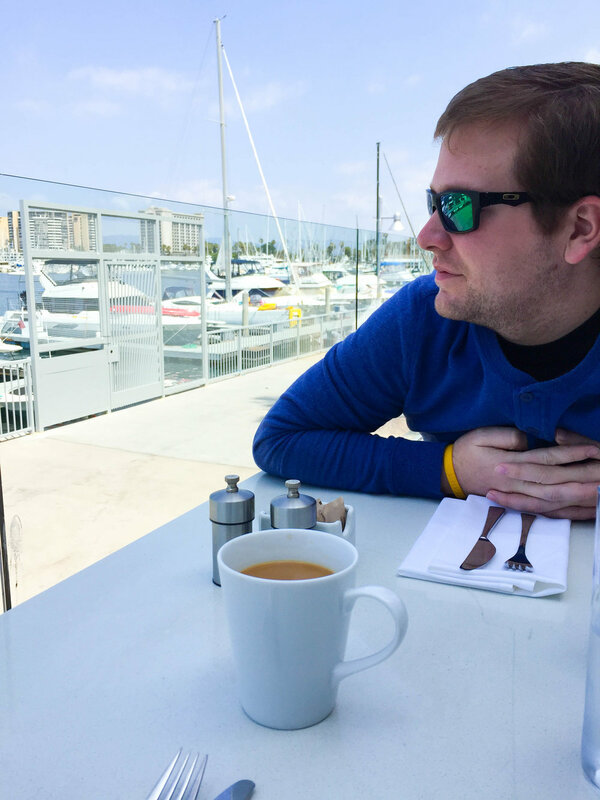 I love meeting with my friends all over LA for some breakfast food and a couple of drinks. Let me guide you to great food, bottomless mimosas, outdoor seating, and who takes reservations! ($$) With beach umbrellas out front and a mix match of coffee mugs this is such a unique and fun restaurant! I love it because you can have ice cream for breakfast and Mom won't get mad! Polar Bear French Toast - Croissant french toast topped with ice cream and berries! Sometimes its not on their menu but you can still order it! 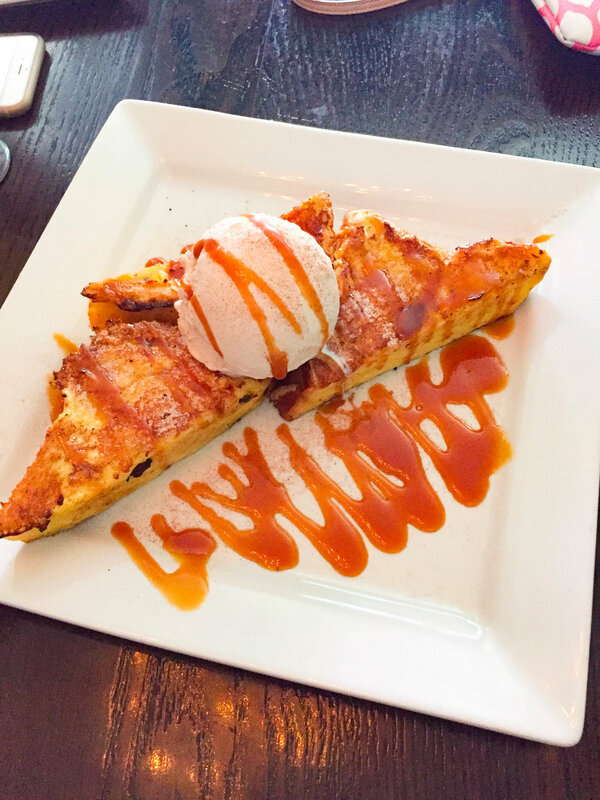 The Peach Melba - 2 "croissant" French toasts, caramelized peaches, vanilla ice cream, melba sauce. Melba is pureed raspberries thickened with powdered sugar. Outdoor Seating? : Yes and a covered patio - can get hot on warm summer days! 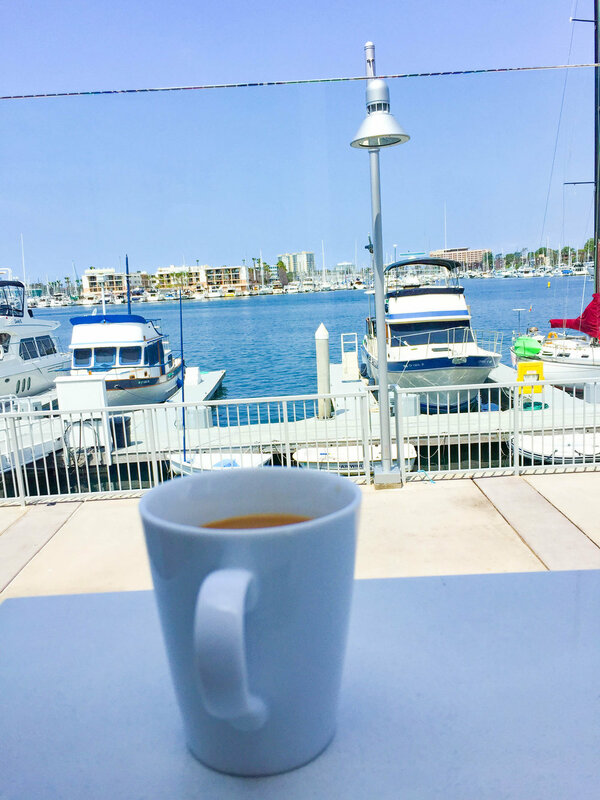 ($$$) Located in the Marina on the water, this place has stunning views of boats floating by and great food! Outdoor Seating? : Yes, usually pretty sunny - bring sunscreen! Firepits are available too for those cold mornings! ($$-$$$) Jeremy Fall has concocted a special menu incorporating breakfast items into almost anything, even cocktails! The restaurant was inspired by serving breakfast to musicians after finishing their sets during the wee hours of the morning on the Sunset Strip in the 80's and 90's. Spiked Cereal Milk - I loved the Cocoa Puffs and Vanilla Vodka. Just like it sounds - cereal milk with the cereal strained out and add alcohol! Why didn't I think of that? Benedict Fries - the only funky thing was the gruyere cheese - it smelled bad and I picked it off. Stack O'Bacon - Sweet Tapatio candied bacon! Kinda pricey for bacon. 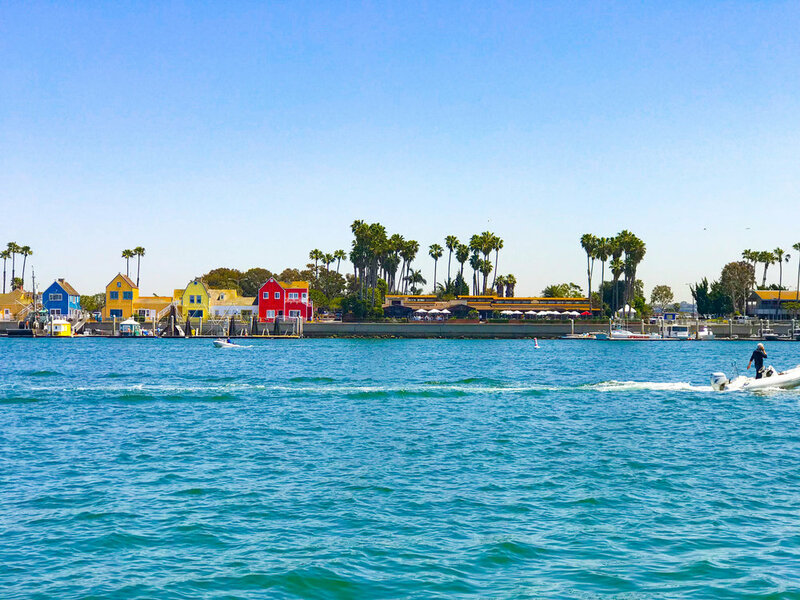 ($$) Family owned and located in Fisherman's Village in Marina Del Rey, just before the boats hit the channel! 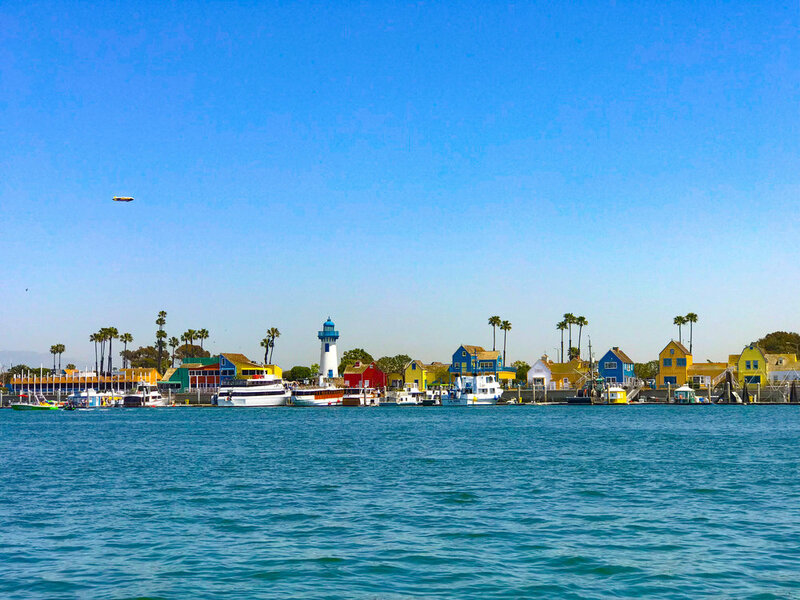 There are plenty of covered tables outdoors to enjoy the sea lions swimming and boats sailing by. On Sundays, they offer a brunch buffet. Breakfast burrito with a side of tots! ($) Our favorite place to stop for a quick breakfast burrito and hash browns or to nurse a hangover. As a sister to Killer Shrimp and just next door, this has a nice cafe atmosphere complete with a long counter where coffee constantly flows to your cup! Breakfast Burrito with avocado and Hash Browns! The hash browns are sooo goood - thick slices of potatoes and a huge brick serving! I'm not a shrimp fan, but there are a lot of Shrimp items on the menu! Coffee is great, you can get a free cup if you check-in on Yelp! Takes Reservations? : Nope, but you can order from Grubhub if you really can't wait! Outdoor Seating? : Nope, but beautiful Penthouse views! Bottomless Mimosas? : Sometimes? They didn’t offer it last time I went. ($$) Properly named, located off Rose Ave and Main St, Rose Cafe had a major facelift a few years ago. 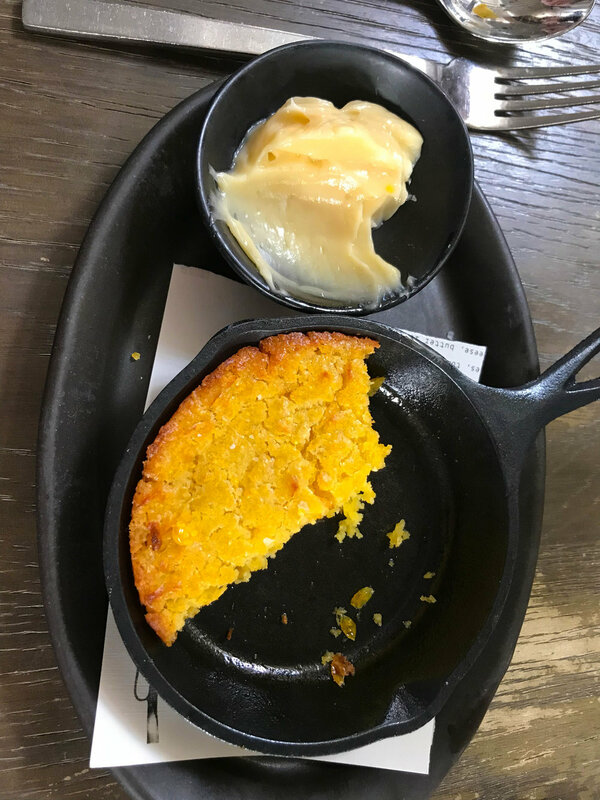 Chef Jason Neroni (formerly of Superba) has brought back life to this cafe presenting local Southern California cuisine with an international influence from his world travels. Inside you'll find a gorgeous bar designed with a local touch from Studio UNLTD and a bakery with an impressive selection of baked goods on the front counters. ($$$) Fancy brunch for fancy friends! Note: If you go for a birthday, they don't have dessert at brunchtime! Breakfast Sandwich - so basic, but the combo of egg, sausage and american cheese is pure genius! Bottomless Mimosas? : Nope, but try the seasonal spritzer! ($$) Enter if you're looking to have a good time! On weekends the drag queens come out and put on a great show at this famous hamburger stand! Cookies and Cream Milkshake - spectacular! 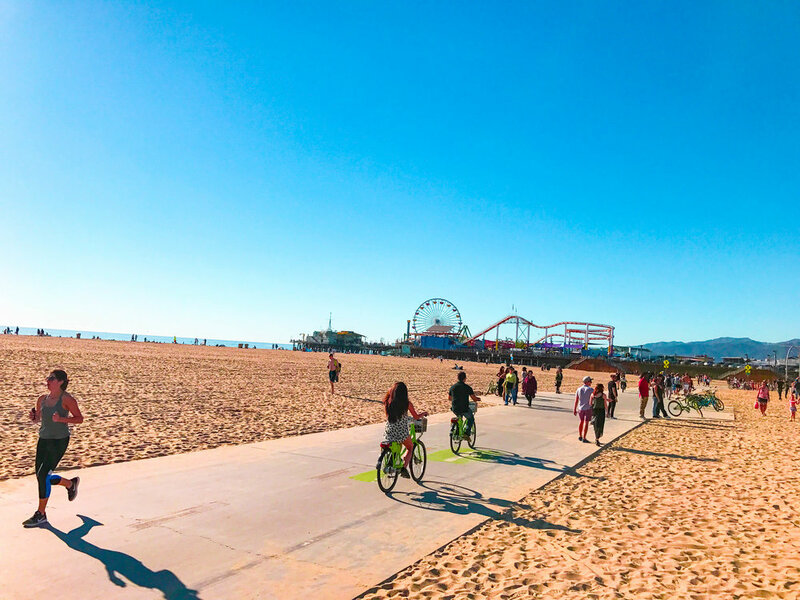 ($$) This spot is located at the end of the Malibu pier and has great farm to table options! Outdoor Seating? : Yes, lots of patio seating! Bottomless Mimosas? : Nope, they only have beer and wine, the Malibu Farm Restaurant at the beginning of the pier does have a full bar.